Due to their biocompatibility and bioactivity, bioactive glasses are used as highly effective implant materials throughout the human body to replace or repair damaged tissue. As a result, they have been in continuous use since shortly after their invention in the late 1960s and are the subject of extensive research worldwide. Bioactive glasses provides readers with a detailed review of the current status of this unique material, its properties, technologies and applications. Chapters in part one deal with the materials and mechanical properties of bioactive glass, examining topics such as surface modification and cell interaction. Part two is focussed on the applications of bioactive glasses, covering their uses in wound healing, maxillofacial surgery and bone tissue engineering, among other topics. 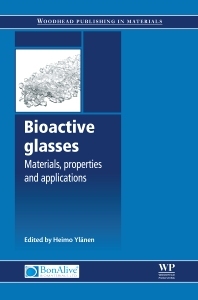 With its distinguished editor and expert team of contributors, Bioactive glasses is an invaluable reference for researchers and scientists in the field of biomaterials, both in academia and in industry. Researchers and scientists in the field of biomaterials, both in academia and in industry.